Car Week isn't just about cars at the track, or at the concourses. 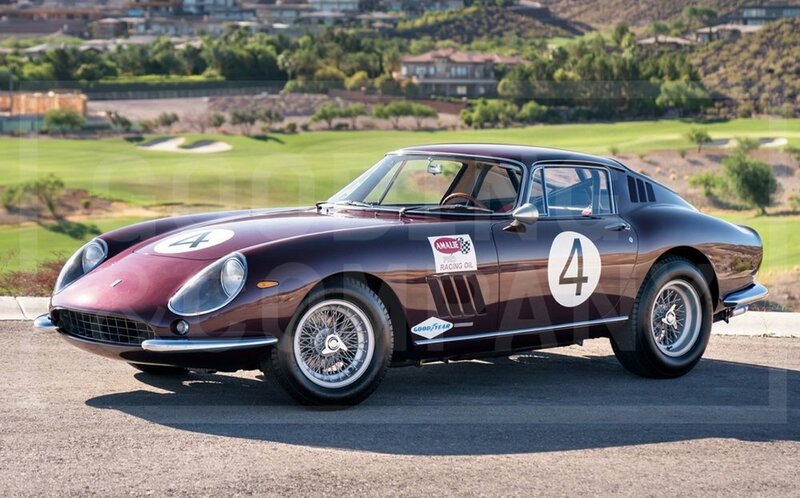 Among the many and varied options are the the multiple car auctions occurring around Monterey. We have listed all of them in Car Week Guide. Many of these auctions are open to the non-bidding public for an entry fee (varies by event) that will allow, in many cases a preview of the cars up at that auction. Even if you're not in the market, the auction previews rival anything you'll see outside of Car Week. 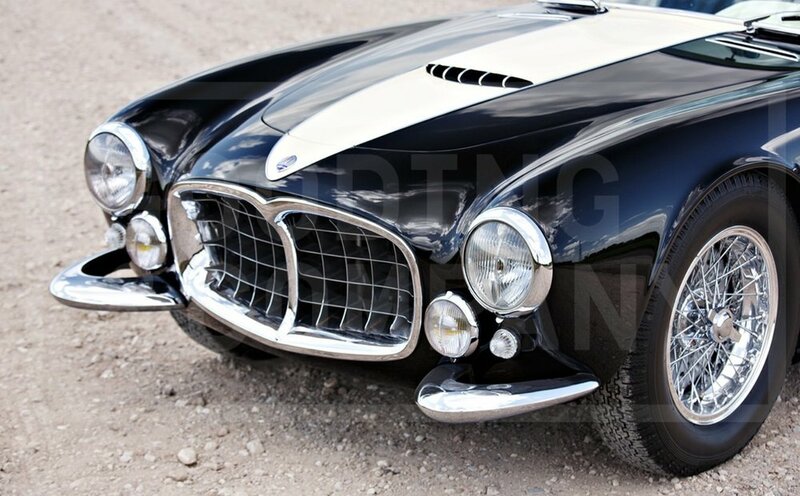 A personal favorite that we have been attending for the last three years is the Gooding & Company Pebble Beach Auction. The line-up of cars that Gooding puts up for auction ranges from the ultra-rare vintage European coach built grand tourer to the modern hyper-car. Arrive early on Friday to beat the crowds and enjoy perusing a tent overseeing millions of dollars of automotive dreams. An added bonus is the coffee bar inside the tent and the knowledgable staff available to answer your questions. In this preview we highlight a small sampling of the offerings that will be on the block at the Gooding & Company Pebble Beach Auction. The RS Spyder was truly a machine purpose-built to win by Porsche Motorsport. The chassis, a lightweight carbon fiber monocoque, used the engine and transaxle as integral, stressed members. The car’s bodywork, composed of carbon fiber and Kevlar composites, was the result of extensive wind-tunnel testing. The engine was an all-new 3.4-liter four-cam V-8 that revved to 10,000 rpm and produced 478 hp. Power was delivered to the rear wheels via a six-speed electropneumatic sequential gearbox that Porsche designed in-house. The advanced chassis featured fully independent pushrod-activated suspension and massive carbon ceramic disc brakes. The entire package weighed just 775 kg (approximately 1,650 pounds). Following a precedent set during the Can-Am era, Porsche entrusted the Penske Motorsports team to race its RS Spyders in ALMS competition. The new Porsche made its competition debut at the 2005 season finale at Laguna Seca. Not only did it win the LMP2 class, it also set the third-fastest lap time and challenged the LMP1 leaders. The 2006 ALMS season was a triumph for the RS Spyder. Penske’s two cars won seven class victories and captured a spectacular 1-2 finish at Mid-Ohio. These impressive results ensured that all four LMP2 titles (driver, chassis, engine, and team) went to Penske and Porsche. In 2007, with Penske Motorsports and Dyson Racing each campaigning two cars, RS Spyders scored eight successive overall victories (including a remarkable 1-2-3 finish at Long Beach) and 11 class wins in just 12 races. Once again, all four LMP2 titles went to the Weissach crew. In 1926, Errett Lobban Cord acquired the Duesenberg Motors Company, an Indianapolis firm specializing in finely engineered road cars. More than anything else, Cord bought Duesenberg for its reputable name, which carried with it an air of international prestige and a genuine motorsport pedigree. After all, cars built by Fred and Augie Duesenberg had won both the Indianapolis 500 and the French Grand Prix. 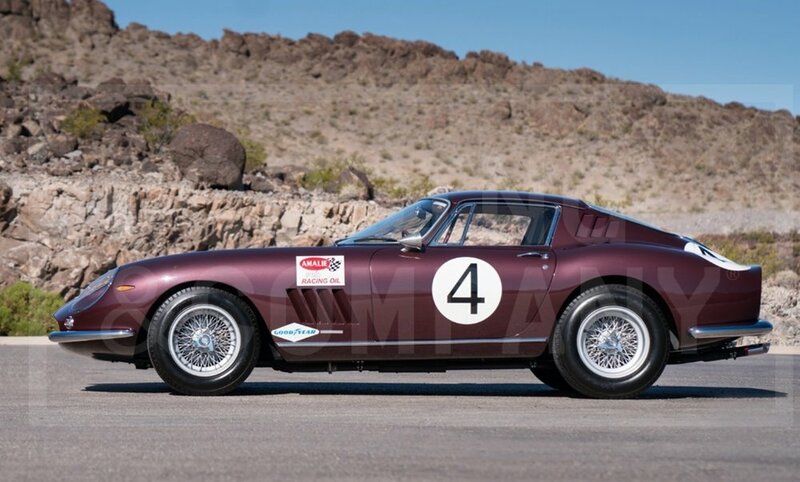 This fine example of the 275 GTB/C, chassis 09063 is among the most soughtafter Ferrari GT cars. These purpose-built 275s represent the ultimate evolution of Ferrari’s single-cam, 12-cylinder competition berlinetta – a line of thoroughbreds that dominated international GT racing for two decades. Without question, these 275s were the finest dual-purpose sports cars of their day – essentially GTOs for 1966. Not only is 09063 a rare and significant competition Ferrari, it also possesses an impressive racing history and provenance. Originally sold to and driven by the legendary Pedro Rodríguez, this Ferrari was later campaigned by Chinetti’s famed North American Racing Team in the most important US endurance races: Daytona and Sebring. In the hands of subsequent owners, the GTB/C remained competitive well into the 1970s. Since its impressive outing at Villa d’Este, 2110 has not been publicly displayed. Rather, it has been maintained in superb condition, carefully looked after by the consignor’s in-house mechanic. 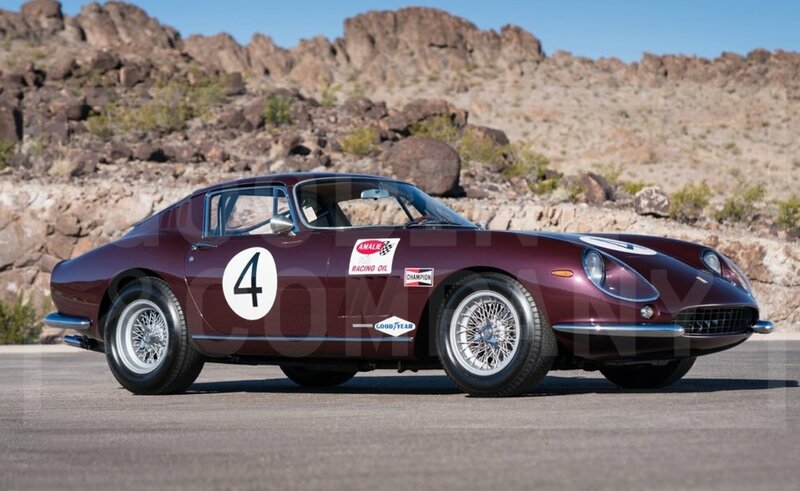 Not only does this Maserati appear to be a candidate for top honors at the best international concours (including Pebble Beach, where it was last shown in 1964), this rare coachbuilt A6GCS/53 would be a brilliant choice for rallies such as the Mille Miglia and the Colorado Grand. While in the care of the current owner, 2110 has been meticulously researched by respected Maserati historian Adolfo Orsi Jr. Included in the car’s impressive file are copies of the Maserati build sheets, correspondence, period photographs, restoration photos, articles, and other important documents. Chassis 2110 is equipped with a high-performance twin-cam engine, numbered 2050, that features a dry sump lubrication system, gear-driven camshafts, and combination magneto/coil ignition system. The offering of this Maserati represents a significant opportunity. Only three of these exquisite Frua Spiders were ever built and only 2109 and 2110 have survived with their original chassis and coachwork. Today, 2109 resides in a major private collection and is not expected to become available for the foreseeable future. Beagle grew up in Merced, California, the son of a miner-turned-car dealer. He studied engineering at Caltech and Stanford, but his college days were interrupted by WWII, and he served as an aircraft mechanic in Italy, where he relished organizing high-speed test flights. After the war, Beagle returned to California, starting a family as well as a successful agricultural supply business. 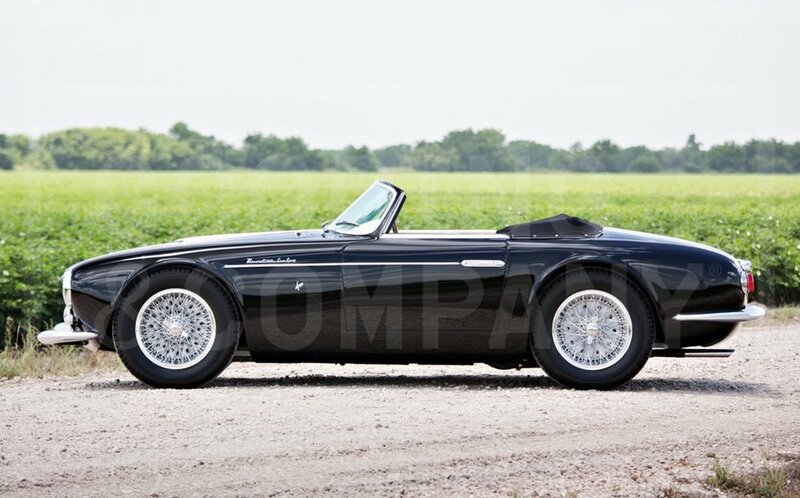 He eventually acquired a spacious home in Sacramento and the 550 Spyder offered here. As documented by its accompanying 1955 Bill of Sale, Beagle paid $6,430 for the new Porsche, which was retailed to him through local dealership Oxford Motors. It was the first in a line of Porsche racing Spyders that Beagle owned and campaigned with great success on the West Coast and in the Bahamas. Except for main photo, all other photos courtesy of Gooding & Company. Descriptions also provided by Gooding & Company.